Counter displays are an excellent tool to capture customer’s attention and influence their last minute’s buying decision. CBS Packaging designs, manufactures and prints a wide range of counter displays and point of sales displays with your desired specifications. Our twenty years of experience along with our design capabilities are our strengths. If you are looking for bespoke solutions then you have come to the right place. CBS Packaging uses only recyclable materials to produce cardboard counter displays. By manufacturing our own cardboard and corrugated board in house, we like to ensure that all products and produced quickly, efficiently and were delivered on time and budget. Our point of sale units range from simple cardboard display such as a tray with a header to more complexes structure that allows products to be displayed effectively. 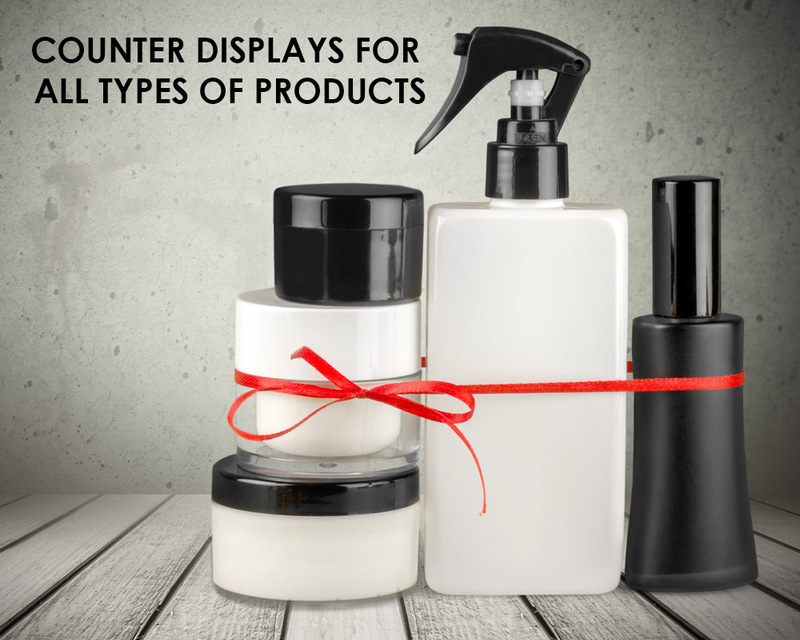 When space is limited, counter displays are perfect for displaying products, often located at checkouts.